I subscribe to more than my fair share of online poetry sites, each one different enough from the other that I appreciate them all. Still, I don't think I'll ever be ready to commit solely to the virtual word. I prefer print, and I especially prefer poetry in print, and I make no apologies for that. Recently, I've added quite a few new volumes to my eight-plus bookshelves of poetry collections, anthologies, and chapbooks. 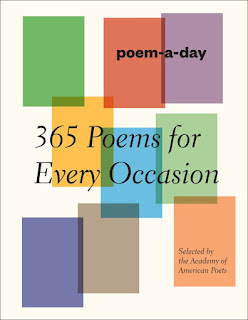 One of the most recent additions is 365 Poems for Every Occasion from the Academy of American Poets, more commonly recognized by its Website address, Poets.org. All the poems, selected by editor Tamar Brazis, come from the academy's well-known Poem-A-Day program, which delivers a poem daily by e-mail to many hundreds of thousands of subscribers. 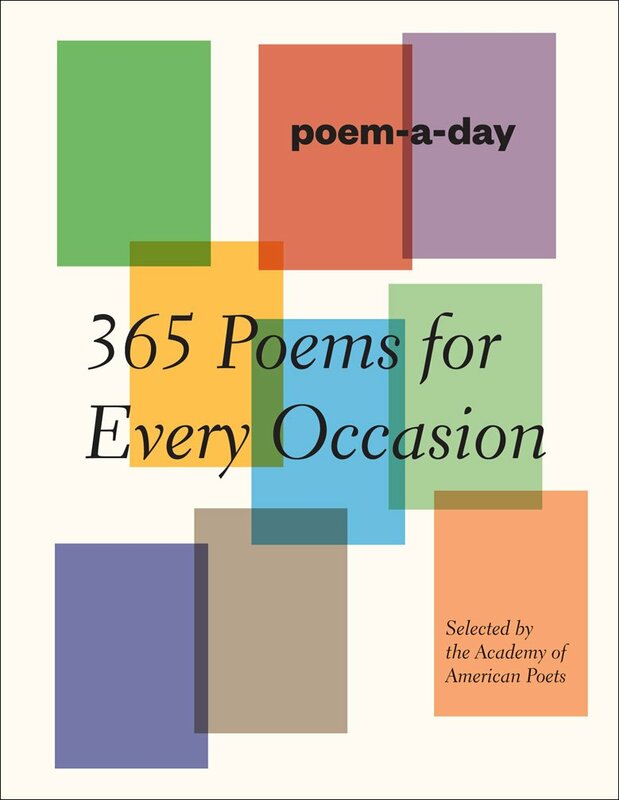 While each of the poems resides and can be found in its proper place(s) on the academy's Website, the publication of 365 Poems marks the first time a year's worth have been made available in print. There is much to recommend this attractively designed, hard-bound book. Poet Edward Hirsch contributes an introduction that beautifully conveys what poetry is and can do, how it "sings us into being." Sized at 5.5" x 1.4" x 7", the collection fits well in the hand, even when open; it's substantial without feeling heavy. The anthology contains two indices, one alphabetical by poet name and the other alphabetical by subject. Of the 17 broad subject categories, "Death", "Love", "Nature", and the collective seasons are primary. Some of the 295 poets appear more than once. Favorites — Lucille Clifton, Mark Doty, Carolyn Forche, Jack Gilbert, Denise Levertov, W.S. 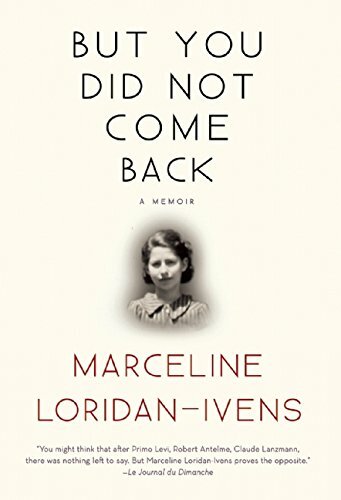 Merwin, Naomi Shihab Nye, Linda Pastan, Adrienne Rich, to name just a few — are featured alongside the well-known and expected — Elizabeth Bishop, Emily Dickinson, Robert Frost, Edna St. Vincent Millay, Rainer Maria Rilke, Christina Rossetti, Walt Whitman, William Carlos Williams — and still there is room for those "new" and awaiting readers' discovery — Jericho Brown, CAConrad, Joy Harjo, Fady Joudah, Yusef Komunyakaa, Larry Levis, Khaled Mattawa, January Gill O'Neil, Lola Ridge, Dean Young, Matthew Zapruder. The only biographical information provided is year of birth and, as appropriate, year of death. Classic, modern, contemporary; familiar and first-time-read; formalists, and not; varied in the demographics they represent, all these are poets who, Hirsch suggests, "enlarge" life by showing us what "happens in words". The poems themselves are grouped by month, January through December. There is a poem for each day of every month (the exception being February 29, or Leap Day), although the days are not numbered. Readers' time is respected: None of the poems is particularly lengthy; many run less than a full page, and some are even shorter (Carl Sandburg's "Window" is just three lines long). Within the monthly framework, it seems care has been taken to loosely group some poems thematically, perhaps with a particular season in mind or for an occasion such as Valentine's Day (see the first days of poetry for the month of February). One could quarrel a bit with the for Every Occasion part of the title, but no matter. This book is about promoting the reading and enjoyment of poetry, and it succeeds equally as well as its online counterpart in making itself a handy companion to anyone's daily poetry practice. All the truly living, at least once, are born again. Today's short is If Books Came to Life, a stop-motion video by Stephanie Cozza. Cozza writes, directs, shoots, and edits documentaries, short films, tutorials, video blogs, and cooking videos. Her work includes Monster: A Single-Sentence Film. ✦ As part of its Syrian Voices project, the PBS NewsHour ArtBeat interviewed a group of Syrian artists dedicated to recreating ancient Syrian monuments, including the World Heritage site Palmyra, destroyed by terrorists. The artists are using materials they have salvaged from their refugee camp. Read about the remarkable project in "Using Only Materials from a Refugee Camp, Artists Recreate Syria's Lost Treasures" (February 3, 2016). ✦ A new series, "Artists & Communities Conversation", has debuted at Americans for the Arts. Over 10 months, artists and arts practitioners will talk with established and emerging community arts leaders about the artistic process, collaborative initiatives, and arts projects to enhance community life or ignite social change. The first conversation, between choreographer Liz Lerman and Deana Haggag of The Contemporary, a Baltimore museum, was posted in late January. ✦ The 2016 National Arts Action Summit, which encompasses Arts Advocacy Day, takes place March 7-8 in Washington, D.C. More than 500 grassroots advocates will gather to promote policies and public funding for the arts. ✦ Embroidery is very much a 21st Century art form. 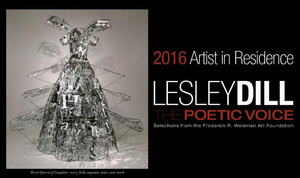 ✦ Lesley Dill, who works in sculpture, photography, and performance, using a wide variety of techniques and media, is the 2016 Artist in Residence at Fullerton College Art Gallery, Fullerton, California. Dill will give a lecture that features an excerpt from her opera (March 14) and give gallery demonstrations (March 15-17). There also will be an exhibition, "The Poetic Voice", comprising selections from the Frederick Weisman Art Foundation. I've long admired Dill's prints (see her work at Tamarind Institute and Landfall Press) and artist books. ✦ A sponsored project of the arts services nonprofit Fractured Atlas, Central Booking in New York City provides a space for exhibiting artist books and prints (Artist's Book Gallery), art- and science-related group exhibitions of all media (HaberSpace), and workshops, meet-ups, and other creative initiatives (OffLINE). On view through March 27 is "Insecta" in HaberSpace; the exhibition includes work by Beverly Ress, book artist Ilse Schreiber-Noll, and more than 20 other artists. 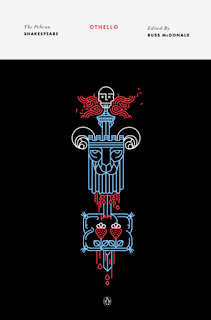 ✭ The Davis Museum at Wellesley College, Wellesley, Massachusetts, is presenting through June 6 "That Right Promethean Fire: Shakespeare Illustrated". Part of worldwide events marking the 400th anniversary of Shakespeare's death, the exhibition features a selection of paintings, prints, photographs, and books that showcase centuries of artistic engagement with the Bard's plays and, in particular, Wellesley's deep interest in the playwright's works. Drawn from the college archives and special collections, the show features examples of Shakespeare-related art by Eugene Delacroix, Max Beckmann, and Rockwell Kent. Gallery talks and film screenings are among the exhibition-related programs. 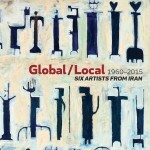 ✭ On view through April 2 at Grey Art Gallery, New York University, is "Global/Local 1960-2015: Six Artists from Iran". The featured artists are Faramarz Pilaram, Parviz Tanavoli, Chohreh Feyzdjou, Shiva Ahmadi, Shahpour Pouyan, and Barbad Golshiri, all of whom were born between 1937 and 1982 and are either pioneering modernists or emerging artists based in Tehran or working abroad. In addition to showing individual artistic practices, the show examines the influence of Persian heritage as manifested in ornamentation, poetry, architecture, and Sufism. The show of approximately 90 works includes paintings, sculpture, drawings, mixed-media installations, and video. An illustrated publication (image below) is available in print and as a free e-book. Exhibition-related programs include film screenings, gallery talks, and panel discussions. 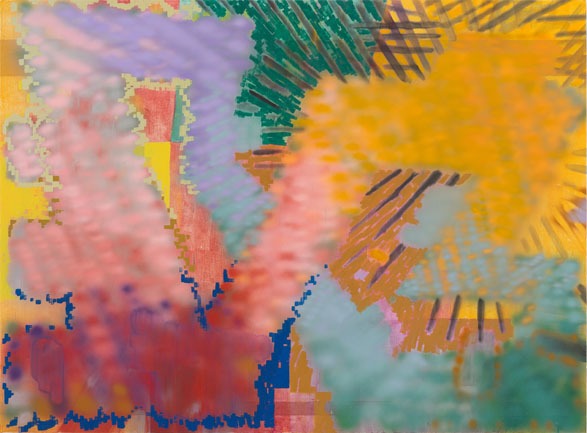 ✭ The layered body prints and gestural abstract paintings of Keltie Ferris are featured in "Keltie Ferris: Body Prints and Paintings", continuing through April 2 at University Art Museum at the University of Albany. Giving special attention to the evolution of the body prints, which include black-and-white impressions and colorful serial progressions, the exhibition also includes Ferris's largest painting to date. ✭ Continuing through May 8 at University of Michigan Museum of Art, Ann Arbor, is "New Technologies and Victorian Society: Early British Photographs from the UMMA Collection". Featured are images by Julia Margaret Cameron, Frederick Evans, Peter Henry Emerson, John Thompson, Charles Scowen, Henry Fox Talbot, and Louis-Jacques-Mande Daguerre. ✭ Selected work by German painter Corinne Wasmuht may be seen through June 12 at Savannah College of Art and Design (SCAD) Museum of Art, Savannah, Georgia. Part of SCAD's annual deFINE Art program comprising exhibitions, lectures, performances, and other public events, this is Wasmuht's first solo museum show in the United States. Described as providing an "immersive", "virtual reality-painted" experience, the large-scale work draws on Wasmuht's own photography, Internet sources, and images from life, landscapes, and nature to examine our dependency on electronic devices and corresponding diminishment of interpersonal relationships. Today's post introduces a trio of titles to put on your reading list. 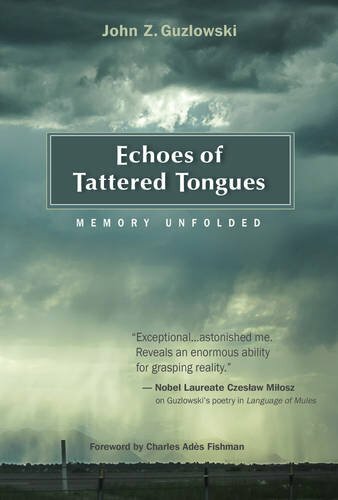 ✭ John Guzlowski, Echoes of Tattered Tongues: Memory Unfolded (Aquila Polonica, March 7, 2016) Charles Ades Fishman contributes the Foreword. 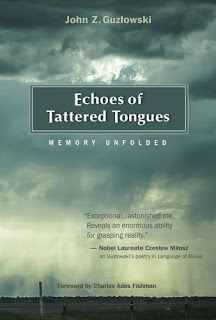 Guzlowski's other books include Suitcase Charlie: Noir Crime Thriller (May 4, 2015), Lightning and Ashes: Poems (Steel Toe Books, 2007), and The Third Winter of War: Buchenwald: Poems (Finishing Line Press, 2007). Read my interview with John Guzlowski: Part 1, Part 2, and Part 3. Oregon Art Beat recently interviewed Portland-based Jeffrey Bale, who creates intricate and beautiful gardens of colorful pebble mosaics or river rocks; he uses primarily the stones he himself has gathered from all over the world. Self-taught (he has degree in landscape architecture), he takes his inspiration from European, Middle Eastern, Asian, and South American culture, architecture, and design. Watch OAB's video about Jeffrey Bale, which aired earlier this month. Bale's gardens have been featured in the Home & Garden section of The New York Times (view a slideshow, Landscape Architecture, Better Homes & Gardens, and other magazines. * Quoted from the Oregon Art Beat interview. Brush off that false hope. It's not cosmic any more. of a faint rippling effect. there ahead of the other. This poem uses as its metaphor the proof of Einstein's gravitational wages theory. Read "Einstein Predicted Gravitational Wages 100 Years Ago. Here's What It Took to Prove Him Right", The Washington Post, February 12, 2016. It is a joy for me personally to see and bring to attention the development of arts and humanities programs in military settings, especially for veterans of war. * Such programs did not exist when my eldest brother, a draftee, returned from extended service in Vietnam. (In-country at the height of the war, he often was tasked with driving armored personnel carriers.) Such programs also did not exist when my father, a member of the famed Merrill's Marauders, returned from service in China, Burma, and India during World War II. Arts-related programs might have given both my father and brother a way to talk about and share their experiences and find the path toward recovery from the mental and physical traumas they suffered. As poet laureate of North Carolina in 2012-2014, Dr. Joseph Bathanti, a professor of creative writing at Appalachian State University, made working with veterans his signature project. A strong advocate for arts programs for veterans, Dr. Bathanti has continued his initiatives, which have included a theatrical production, Deployed, based on veterans' writings about being in training, on front lines, in prison camps, and back home. Periodically, Dr. Bathanti and I exchange e-mails and recently, I received word that Dr. Bathanti has been named the Charles George VA Medical Center Writer-in-Residence. He's a natural fit for the job. While Writer-in-Residence, Dr. Bathanti will teach and co-lead two creative writing workshops, each eight weeks long, focused on the healing of Vietnam veterans with post-traumatic stress disorder. (It is estimated that some 250,000 Vietnam veterans have "defined" PTSD, and many more suffer its "sub-threshold" effects. Huge numbers of veterans of more recent wars, such as the Persian Gulf War, suffer from PTSD and severe brain injuries.) The workshops will feature the use of poetry, the personal essay, and memoir as recovery tools and demonstrate how memory and desire for healing feed directly into these genres. Using writing produced in the workshops, Dr. Bathanti will compile and edit an anthology and also create a theatre script for subsequent performance on stage in Asheville, North Carolina, and throughout the state. In addition, Dr. Bathanti will co-lead a literature-and-discussion group for veterans of Operation Enduring Freedom and Operation Iraqi Freedom. 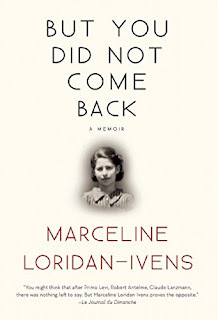 To be conducted at the Charles George center in Asheville, that group is part of the Veterans Administration's pilot program for the Great Books Foundation's "Talking Service" program. Dr. Bathanti will be working with Dr. Bruce Kelly, who heads the Charles George center's arts and humanities programming. Funding for these important activities comes from the Wounded Warrior Project and the National Endowment for the Humanities, with support from state, local, and other national partners. The intent is that the workshops and other initiatives create a model for establishing a broader strategy for incorporating the medical humanities into programs for veterans and for fostering military-and-civilian collaboration that benefits families and communities as well. * See my TweetSpeak Poetry interview with Fred Foote of Walter Reed: Part 1, Part 2, and Part 3. 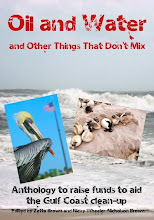 Also see: "Monday Muse: North Carolina's Poet Laureate", a profile of Joseph Bathanti; and "Monday Muse Reads 'Concertina' (Review)", my review of Bathanti's narrative poetry collection. we still have dreams and ambitions. Today's short, Another Kind of Girl, is a 9:55-minute documentary about life in a refugee camp. It is from the perspective of 17-year-old Khaldiya of Syria. Click the link above and watch and listen as Khaldiya describes how the experience of filming is changing her opinion of herself and what she describes as her "responsibility not just to tell the world [the] truth, but to let people see it for themselves." Khaldiya's statement about making the film is published below the short. My thanks to Khaldiya and The New York Times Op-Docs for making the short available. ✦ The 9th International SWAN Day (Support Women Artists Now) is March 26. SWAN Day events, which last year took place in 26 countries, celebrate women's creativity in all aspects of life. ✦ American Craft's juried Baltimore show takes place this weekend (through Sunday) and features more than 650 artists and artisans who make jewelry, clothing, furniture, and home decor (ceramics, lighting, glass work). ✦ Yesterday's Artist Watch column at Escape Into Life showcased the work of illustrator Manuja Waldia. She's so talented! ✦ China-born and now U.S.-based Shulin Sun is a master at combining traditional Chinese and contemporary Western painting techniques. Some of his nature-inspired images in ink and color seem to explode on paper; others appear as intricate networks of lines and abstract massed forms. I particularly like his series Ice and Fall. Work by the artist is in a group exhibition at Monmouth Museum, Lincroft, New Jersey, through March 13 (Leaves 24); and in "A Touch of the Blues" at The Arc Gallery, Chicago, through February 27 (Ice 2). View the online gallery. ✭ Worcester Art Museum, Worcester, Massachusetts, has picked up the latest trend and fashioned it into an exhibition, "Cyanotypes: Photography's Blue Period", the first significant look at the photographic process's historical trajectory by a U.S. museum. On view through April 24, the show traces the rise of "blueprint photographs" in the botanical photogenic drawings of Anna Atkins (1799-1871), and the technique's use by past and contemporary artists. The exhibition is organized thematically (botanicals, landscapes, abstraction, portraiture) and includes work by Henry Bosse, Arthur Wesley Dow (1857-1922), Edward Sheriff Curtis, F. Holland Day, Annie Lopez, and Christian Marclay (see Christian Marclay: Cyanotypes). A selection of images and information about a project with Clark University art history students is available at the exhibition link above. The students' research will be included in an essay in the accompanying exhibition catalogue. The museum also has published Frederick Coulson: Blueprints of a Golden Age. Additional information about cyanotypes and some of the works in the exhibition may be found in the press release (pdf). The Open Studios program at WGBH prepared a video on cyanotypes. Read Joshua Lyford's article "Worcester Art Museum Presents 'Cyanotypes: Photography's Blue Period'" in Worcester Magazine (January 7, 2016). Also read Ted Loos's feature article "Cyanotype, Photography's Blue Period, Is Making a Comeback" in The New York Times (February 5, 2016). Note: In April I will be featuring a cyanotype artist in my Artist Watch column at Escape Into Life. ✭ Rockford, Illinois, native Stephen Warde Anderson, an "outsider" artist, is the subject of "The Wonderful World of Stephen Warde Anderson" at Rockford Art Museum. On view through May 30, the exhibition includes the short Fantasy Tableau by documentary filmmaker Kate Balsley. On March 24, Anderson will give a lecture at the museum. ✭ More than 70 paintings, sculptures, drawings, and prints by Jackson Pollock are on view in "Jackson Pollock: Blind Spots" at Dallas Museum of Art. Continuing through March 20, the exhibition is only the third U.S. museum show devoted solely to Pollock. Some of the works have not been seen for more than 50 years. Included are 31 of Pollock's black paintings (1951-1953). Listen to a Modern Art Notes podcast with curator Gavin Delahunty, which aired January 7. ✭ Portraits by Native American photographers Zig Jackson, Wendy Red Star, and Will Wilson are showcased alongside the pioneering work of ethnologist and photographer Edward Sheriff Curtis (1868-1952) in "Contemporary Native Photographers and the Edward Curtis Legacy" on view through May 8 at Oregon's Portland Art Museum. Featuring multiple volumes from Curtis's The North American Indian, the exhibition examines Curtis's continuing influence on the interpretation of Native American culture and encourages a critical appraisal of Native representation in photography. Also see interviews with the curators. 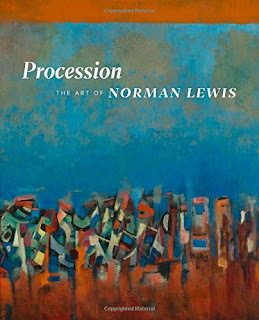 ✭ Post-war abstract expressionist Norman Lewis (1909-1979) is the subject of "Procession: The Art of Norman Lewis" at Pennsylvania Academy of Fine Arts in Philadelphia. Presenting approximately 90 paintings and works on paper from public and private collections, as well as archival materials from the Lewis estate, the exhibition, which may be seen through April 3, is a comprehensive examination of Lewis's innovative contributions to American art. Socially aware and a political activist, Lewis was a member of the Harlem art community. In his practice, he used representation and abstraction, geometric and organic forms, and incorporated his views of civil right issues using a highly expressive palette. The "procession ritual" figures prominently in his work. The show will travel in June to the Amon Carter Museum of American Art, Ft. Worth, and in September to Chicago Cultural Center. An illustrated catalogue (University of California Press, 2015) accompanies the exhibition. 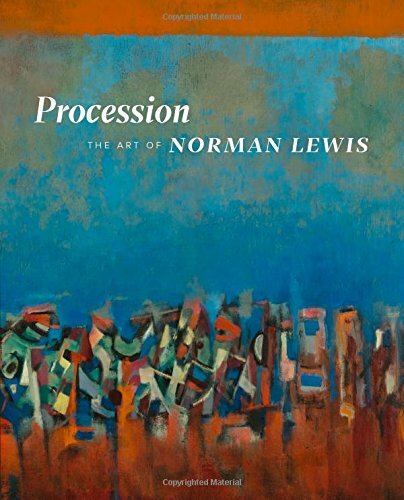 Also on view: "Stone and Metal: Lithographs and Etchings" by Norman Lewis, and "Seachange: Abstraction in Norman Lewis's Time". Work by illustrator and graphic designer Manuja Waldia is featured today in my February Artist Watch column at Escape Into Life. Manuja also is a ceramist. (See a selection of her ceramics.) She has created designs for cards and stationery, tote bags, product tags, and clothing patterns. At Artist Watch, you'll find a selection of images from Manuja's portfolio and her brief biography and Artist Statement. Last fall Thames & Hudson published photographer Alex Van Gelder's Mumbling Beauty | Louise Bourgeois (November 2015). 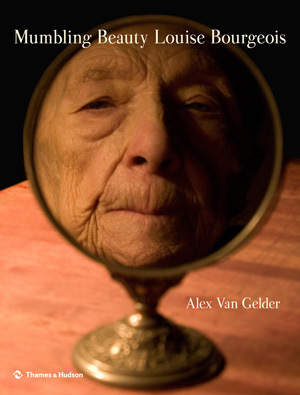 For two years, 2008 to 2010, Gelder made a project of photographing the dramatic and physically expressive Bourgeois—at home and in the studio, while working and resting, in play and in rage. The book's 81 color portraits of the artist are remarkable. In her Harper's review, Christine Smallwood describes the images as "alternately monstrous and endearing". On February 24, as part of the Artist Dialogue Series at the New York Public Library, the photographer and Bourgeois's friend and assistant Jerry Gorovoy will talk with moderator Arezoo Moseni about Gelder's book and Gorovoy's conversation with Bourgeois about her collaboration with Gelder. The program, which is free, is scheduled from 6:00 p.m. to 8:00 p.m., in the Celeste Auditorium of the Stephen A. Schawarzman Building. Copies of the book may be purchased at the end of the event. * Louise Bourgeois created The Easton Foundation as a nonprofit, charitable organization. The foundation is dedicated to preserving the artist's legacy and promoting scholarship and awareness of her life and work. It is headed by Jerry Gorovoy. See Arthur Lubow's "A Look Inside the Louise Bourgeois House, Just How She Left It", The New York Times, January 20, 2016. Also read: Magnus Bons, "An Interview with Jerry Gorovoy, Assistant to Louise Bourgeois and President of the Easton Foundation", Arterritory, February 16, 2015.
that slip from truth into arias of fear. of torture the risk of transformation to joy. Last week, at his blog Behind the Lines, poet Philip Metres wrote about a project he is hosting throughout Lent. For his "Sand Opera Lenten Journey", Metres is posting a poem daily from his collection Sand Opera, which he created from his readings of the testimonies of American military personnel and Iraqis who were tortured in the infamous Abu Ghraib prison scandal (see also Metres's abu ghraib arias); each post also includes a quote from Scripture or an aphorism that frames the reading and another writer or poet's commentary. Metres's project, he says in his post, is "part of a digitally collective observance and meditation through poetry" that he hopes will serve as a calling to all of us "to come to terms with what it means to be citizens of empire, to ask ourselves how we might be participating in injustice simply by living in this time and place, and to find out ways that we ourselves might make more justice, more light, more love, and more peace." My "found" poem above, written after reading the February 9, 2016, post, contributes my voice to those of others abjuring war and violence and advocating on behalf of peace. (My intention is to write a response to each Lenten Journey post at Behind the Lines.) Also see "A Lenten Journey: The Sand Opera Meditations (An Open Call)", January 22, 2016. This Lent, join Metres and writers and poets offering their reflections in, beginning with "Sand Opera Lenten Journey Day One: Compline". One of the most socially and politically conscious of poets, Philip Metres is the author also of A Concordance of Leaves (Diode, 2013; 2nd Ed., 2016), awarded the 2014 Arab American Book Award; Pictures at an Exhibition: A Petersburg Album (University of Akron Press, February 2016), I Burned at the Feast: Selected Poems of Arseny Tarkovsky (Cleveland State University Poetry Center, 2015), and abu ghraib arias (Flying Guillotine, 2011). Metres's Sand Opera (Alice James Books, 2015) received the Beatrice Hawley Award. was as natural as breathing. . . . Poet Martin Espada recently was interviewed at Democracy Now. For those unfamiliar with Espada, who has a legal background, the interview, recorded in the video below, is a good introduction. 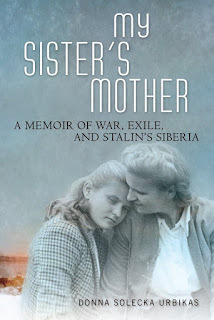 (Also see the PEN America interview to which I link below.) Espada reads several poems from his new collection, Vivas To Those Who Have Failed (W.W. Norton, 2016); the first is "How We Could Have Lived or Died This Way" and the second, "El Morivivi", was written for his father Frank Espada (1930-2014), a photojournalist, activist, and teacher. Espada, in addition to being a prolific poet, is an essayist, translator, and editor. Some of his other collections are The Trouble Ball (2011), The Republic of Poetry (2006), a Pulitzer Prize finalist, and Alabanza: New & Selected Poems 1982-2002 (2003). Selections of poems from these collections are available on Espada's Website. Also see my posts "Monday Muse: Espada Talks About Poetry" (April 1, 2013) and "Monday Muse: 'Soldiers in the Garden" (May 11, 2015), a animation of Espada's poem. A kiss, you see, can carry not just a heart in it, but a soul. Today's short is the trailer for the film Innocence of Memories, inspired by Orhan Pamuk's novel Museum of Innocence (Knopf, 2009; Vintage, 2010). The film (Soda Pictures), from British filmmaker, director, and cinematographer Grant Gee, was released in the United Kingdom January 29. Pamuk was awarded the Nobel Prize in Literature in 2006. Read Pamuk's "Exhibition at the Pictures: Orhan Pamuk's Museum of Innocence on Screen", The Guardian, January 23, 2016. ✦ Save the Date! March 3, from 6:00 p.m. to midnight, RabbitHoleStudio in the Dumbo section of Brooklyn hosts a one-night-only multi-sensory photo exhibition and performance event that features selections from photographer Tal Shpantzer's gorgeous Petal Portraits series, a Butoh dance performance by Vangeline inspired by the series, and a related presentation of PETALES by Euphorium Brooklyn. ✦ The Smithsonian Museums are planning a "special edition" for women and girls of color during Museum Day Live, scheduled for Saturday, March 12. To find out if a museum near you is among the hundreds participating in the annual event, check the interactive map. ✦ The Harry Ransom Center at the University of Texas is the depository for the Edward Ruscha papers and art collection. That collection, which includes notebooks, sketches, photographic material, publicity and exhibition material, and final editions of artist books, prints, films, and commissioned works, recently opened for research. A selection of objects in the collection may be seen by visitors to the center. Read the "That Was Then, This Is Now" post on the center's blog. ✦ The National Gallery of Art, Washington, D.C., recently uploaded this film for its exhibition "Power and Pathos: Bronze Sculpture of the Hellenistic World", continuing through March 20. Narrated by Liev Screiber, the film includes on-location footage at archaeological sites in Greece (Delphi, Corinth, Olympia). An exhibition catalogue is available. ✭ A terrific reason to visit Boston: Last week, Cambridge's Harvard Art Museums opened "Everywhen: The Eternal Present in Indigenous Art from Australia". On view through September 18, the survey of the last 40 years of contemporary Indigenous art examines how the concept of time—"everywhen"—finds expression in Indigenous artistic, social, historical, and philosophical life. More than 70 works from private and public collections in Australia and the United States, some being exhibited for the first time outside Australia, are complemented with historical objects from Harvard's Peabody Museum of Archaeology and Ethnology. 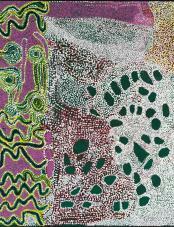 Some of the marvelous artists whose work is included are Rover Thomas, Emily Kam Kngwarray, Judy Watson, Doreen Reid Nkamarra, Paddy Nyununy Bedford, Vernon Ah Kee, and Christian Thompson. A series of gallery and artist talks are scheduled. Ah Kee Wall Timelapse from Harvard Art Museums on Vimeo. A 228-page catalogue with 122 color images and 2 black-and-white illustrations will be available. (It is expected March 24, 2016.) 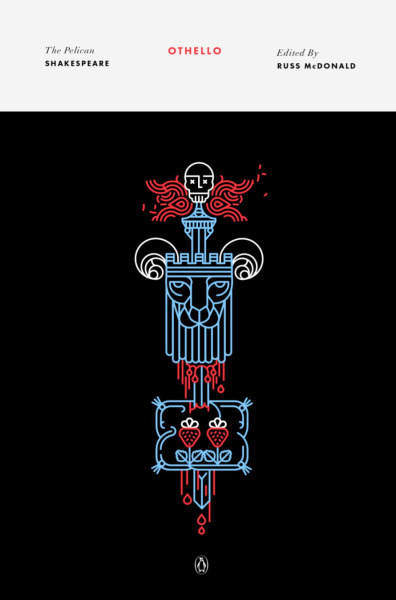 Including scholarly essays, the catalogue (distributed for HAM by Yale University Press) is organized around four themes: ancestral transformation, ritualized performance, seasonality, and remembrance. Its editor is Stephen Gilchrist, associate lecturer in art history, University of Sydney, and Australian Studies Visiting Curator, Harvard Art Museums. Read "A New View of Bark Paintings" in the museums' magazine (December 23, 2015); "From Down Under to Cambridge" (December 18, 2015); and "Bringing Aboriginal Art to the Harvard Art Museums" (January 14, 2014). Also see an interview with Stephen Gilchrist, "NYU Sydney's Stephen Gilchrist: 'Indigenous people have a lot to teach Australians'." ✭ New York City's Galerie LeLong is presenting "Ana Mendieta: Experimental and Interactive Films" through March 26. Of 15 films in the exhibition, nine are seen for the first time. The show includes large-scale projections, video, archival materials, and a sound-based work. LeLong represents the Ana Mendieta Estate. ✭ Works by postwar artists including Leon Golub, Nancy Spero, and H.C. Westermann, part of a group called the "Monster Roster", Chicago's first artistic movement, appear through June 12 in "Monster Roster: Existentialist Art in Postwar Chicago" at the Smart Museum at the University of Chicago. 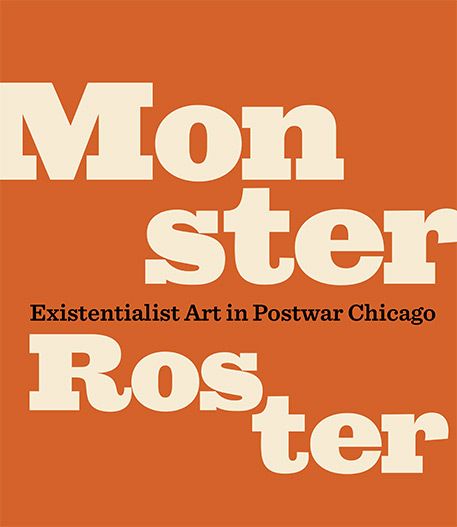 The exhibition of approximately five dozen paintings, sculptures, and works on paper examines the history, aesthetics, and styles of individual members of the group as well as Monster Roster's influence on American art. A catalogue with color images of all the works in the show is available. Several related exhibitions and installations, one including Monster Roster printmaking, are in adjacent galleries. ✭ Works on paper by Brice Marden are showcased in "Brice Marden: Prints from 1986 to 1998" at Barbara Krakow Gallery, Boston, through March 12. You'll find thumbnails and descriptions for works in the show at the exhibition link above. ✭ April 21, 2016, marks the bicentenary of Charlotte Bronte, who would be 200 on that date. There's perhaps no better way to observe it than with "Charlotte Great & Small". At the Bronte Parsonage Haworth, in Yorkshire, the exhibition opened this month and continues through the end of the year. Displayed are items of clothing, miniature books, locks of hair, and a love letter loaned by the British Library. Marvelous works by artists Ligia Bouton, Serena Partridge, Tamar Stone, and The Knitting Witch, made especially for the bicentenary, are installed throughout Haworth. The video below is about The Bronte Bed by Tamar Stone. Learn more about Stone's Bronte project at her site The Bed Work. The Bronte Bed v010116 (1280x720HD) from Tamar Stone on Vimeo. 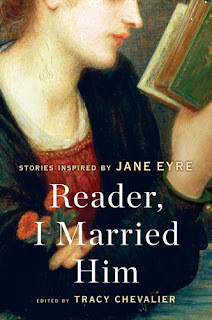 The celebrations include the March 22 publication in the United States of the short story anthology Reader, I Married Him, inspired by Jane Eyre and edited by Tracy Chevalier. (The anthology, with a different cover, will be published April 7 in the United Kingdom.) Contributors include Helen Dunmore, Emma Donoghue, Audrey Niffenegger, and Francine Prose. Read the Foreword by Chevalier. Also worth noting is the Bronte Quilt Challenge: "Splendid Shreds of Silk and Satin: A Celebration of Charlotte Bronte in Quilts", on exhibit April 16 - June 11 at Bankfield Museum, Halifax, Yorkshire. Three members of Totley Brook Quilters (Sheffield) have created a new version of a Bronte quilt, which is to be shown alongside the original. What is the role of art going to be in my life? Last Saturday, I had a chance to see the wonderful film Many Beautiful Things (Kurosawa Productions), directed by Laura Waters Hinson. Every seat in the auditorium at the National Gallery of Art was taken. The 70-minute documentary, which premiered last summer at the 2015 Manchester International Film Festival, is playing in theaters across the United States through the end of February (see screenings). 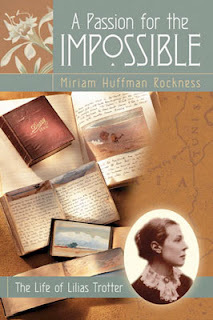 Briefly, the film tells the story of the life of a painter and missionary to Algeria most of us have never heard of: Lilas Trotter (1852-1928), whom John Ruskin (1819-1900) befriended and mentored. Trotter's biographer, Miriam Rockness (A Passion for the Impossible: The Life of Lilias Trotter and A Blossom in the Desert: Reflections of Faith in the Art and Writings of Lilias Trotter), who spent some three decades researching Trotter's life and art, is featured, as are others who helped bring Trotter's story to the screen or otherwise worked to make her artistic and spiritual contributions known. Trotter was enormously talented, a defiant, courageous, inspirational role model. I commend this film to everyone.